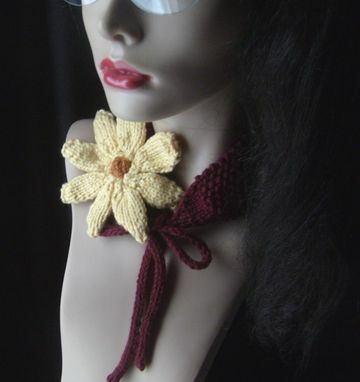 Versatile yet gorgeous, this neckband/headband will become a staple in your fall/winter wardrobe. 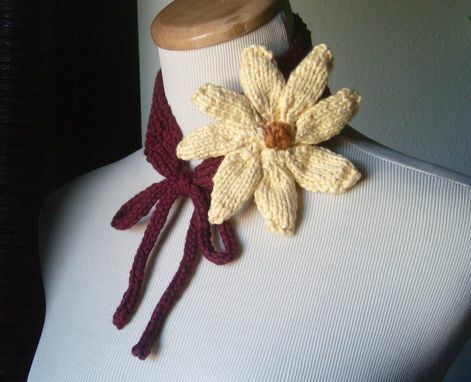 I started with a simple design for the neckband hand knitted in 100% maroon colored cotton yarn imported from Turkey. 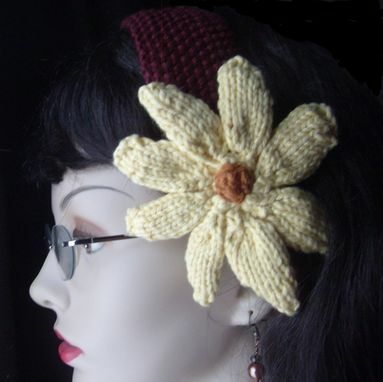 I then embellished it with my exclusive hand knit flower, which is my very own design and if I must say, absolutely gorgeous! 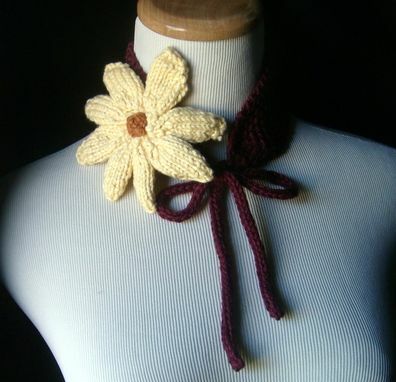 Wear it around your neck to complete your spring look, or if the weather gets too warm, just wear it as a headband! It makes the perfect accessory and it is available in custom colors...simply contact me for your color choices. 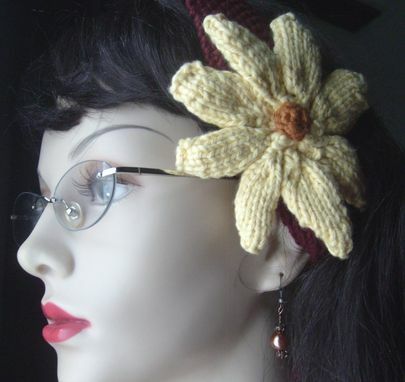 Note: This listing is for the maroon and yellow daisy neckband pictured here. Care: Hand wash in luke warm water. Squeeze out excess water in a dry towel, lay flat to dry.